KATHMANDU, July 29: Nine of the Madhes-based political parties united under the Federal Alliance and the United Democratic Madhesi Front (UDMF) have stated that there is no possibility of their joining the next government, which is expected to be led by CPN (Maoist Center) Chairman Pushpa Kamal Dahal. A meeting of the Federal Alliance on Thursday, which has as many as 42 members of parliament from nine different political parties, has however concluded that they can vote for Dahal if the Nepali Congress (NC) and CPN (Maoist Center) coalition agrees to address their demands in writing. Madhes parties have also decided to continue their protests and hold mass interactions on their demands at different places in the country. Maoist Center Chairman Dahal and other leaders have sought the support of the alliance for forming the new government and they held a meeting with Madhesi leaders on Thursday evening. 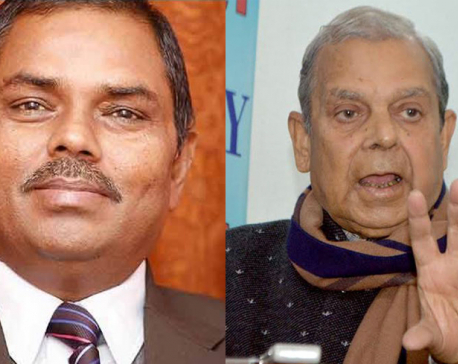 The leaders of the Madhes-based parties turned down Dahal's overtures. Earlier, a meeting of the alliance had decided not to join the government any time soon. “A decision will be taken only after an agreement is reached with the Nepali Congress (NC)-Maoist Center coalition as this is not an appropriate time to join the government,” reads the decision taken by the alliance. The parties decided not to vote for NC-Maoist coalition prime ministerial candidate Dahal, said Tharuhat Tarai Party leader Gopal Dahit. Most of the Madhes-based political parties had voiced support for not joining the new government, stating that their agenda would be weakened once they became part of the government. Similarly, the parties have also concluded that people's trust in them would be eroded if they join the government without first having their demands addressed. “The Tharu agitation could not retain its momentum after the Bijay Gachhedar-led Madhesi People's Rights Forum Democratic joined the government, and the same thing would happen to the Madhes agitations if we join the next government,” Dahit quoted the leaders as saying at the Federal Alliance meeting. Madhes-based political parties have also decided to continue their protests and hold mass interactions on their demands at different places in the country. The parties have been protesting for more than nine months demanding amendments to the constitution or its rewriting to change provincial delineations in the southern plains and make changes also to citizenship provisions, among other things.